A couple weeks ago I discussed my five favourite products and now I will tell you of the products that I wouldn’t waste money on. Yes I colour my hair. I have grey hair and I don’t like it. 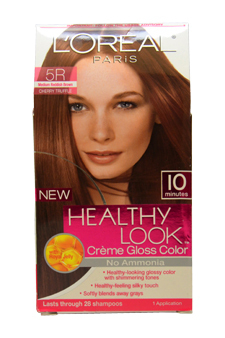 I thought I’d try this product because it has no ammonia in it and I had heard good things about it. I bought 5R Medium Red Brown. First off I hated the smell of it – a gaggy floral smell. When applying it, it was runny and dripped everywhere. Then when I washed it out, I was in for the final treat – my hair was unevenly coloured (striping anyone?) and it was maroon coloured in spots which looked like nothing in the vicinity of what was on the box. I am really good at colouring my hair and I can honestly say that I have never had something like this happen to me. After being miserable, I took solace in the fact that it says it washes out after 28 shampoos. No, no it does not. Finally I had enough and took a huge chance and coloured over it with the product I usually use (Clairol Nice N’ Easy 111 Medium Auburn). Thank goodness it worked out and I got my hair colour back without any further distress. Never again. It’s the first mascara I bought with the big brush. It is also the first mascara I threw out. I’ve learned that I hate huge mascara brushes. At first I thought I’d get used to it but after several weeks of getting mascara into my contacts, I realized life is too short for such nonsense. I also considered using a different brush with it but was not impressed with its clumpiness or wear-ability – it flaked once again into my poor contacts. Moral of the story: I don’t need a big cumbersome brush to get awesome lashes and have no clue as to what the purpose of one would be. Marketing perhaps? 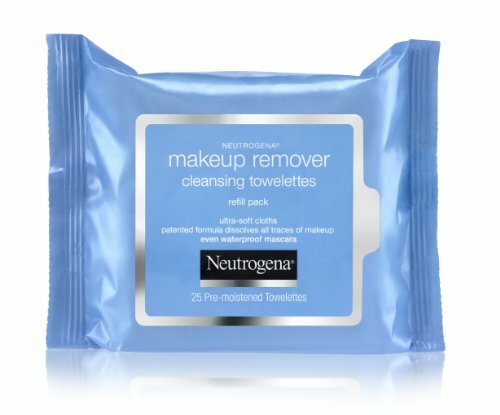 Makeup Remover Towelettes that don’t remove make-up? Sign me up! This product makes as much sense as buying glue that doesn’t stick. Yeah if you rub the heck out of your poor eyelashes ripping them out in the process and hurting your eyes it eventually does remove most of the mascara. I think that’s reason enough for this to stay in the store. For those not familiar with Sunrider products (www.sunrider.com), they specialize in food grade herbal medicines which are truly fabulous and life changing. However I am not sure as to why they felt they should market cosmetics but they went ahead and did so. Luckily I had this given to me, because at $29.80 for 2.3 ounces I would have wanted my money back. It smells bad, it is greasy and reminds me of the Ponds Cold Cream used decades ago before people knew about proper skincare (and yes sadly they still make that stuff too). It also doesn’t remove make-up properly and when I tried to wash it off my skin, it left a greasy, gross mess. I had to rewash my face with my regular skin cleaner and the Kandesn Cleansing Cream still left a greasy film on my skin. Yuck! I don’t care that it’s all natural – so is hemlock and arsenic and I’m not putting any of that on my skin either. Bought this because I love Sinful Colors Nail Polish and have written about it previously on my blog. I normally use Nicole by OPI Top Coat but I wanted to save some money and tried this instead. Big mistake! After spending time on my manicure, I put on Sinful Colors Clear Coat and it dissolved my nail polish! I tried to take it back to London Drugs and they don’t do that sort of thing any more. I tried to write the company about my bad experience and their online form doesn’t work for someone from Canada (even though you can choose “Canada” as your country) because it tells me my zip code is wrong. 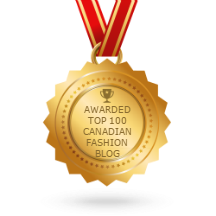 Newsflash For The Sinful Colors Web Designer: In Canada we have postal codes not zip codes. Then I tried to email their sales department and never heard back from them. I used to love them but now I will buy elsewhere. And that is all for now! Hope I helped you to save your money for the good stuff. Previous: Who won a Gilmore Girls Coffee Cozy From Wanderlustbee?